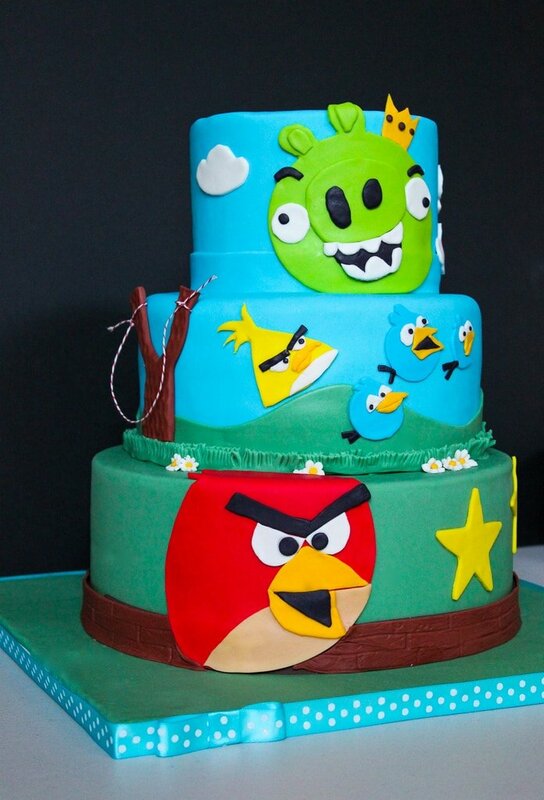 Do you know any Angry Birds addicts? I sure do. What kind of birthday cake do you make said fanatic? 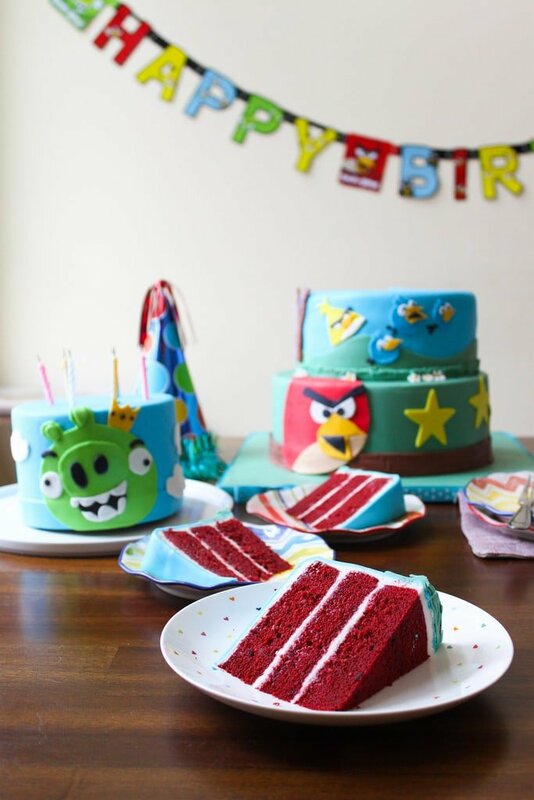 An Angry Birds red velvet birthday cake, of course! 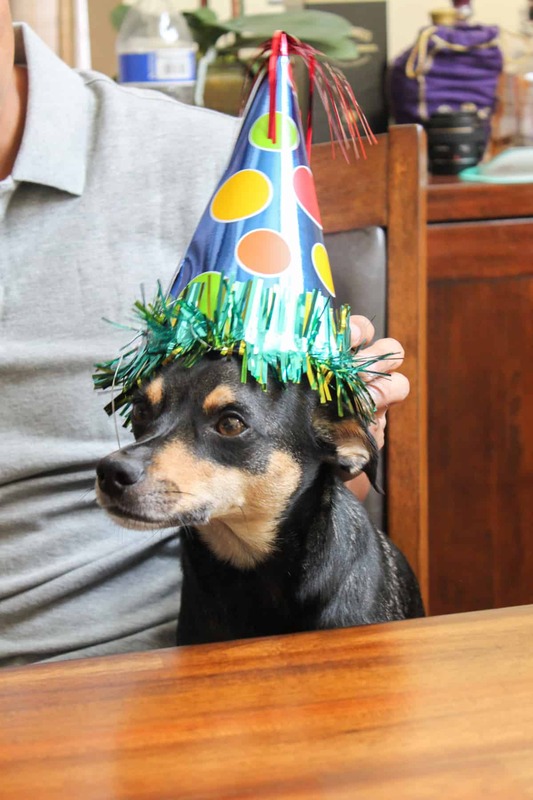 We had a little party yesterday to celebrate. Even Charlie was invited and included in all the festivities. He can be such a creeper, but his cuteness and adorable personality makes up for it. It took me two afternoons to make this cake. I begin every cake project by sketching a draft of the cake. Then I make a list of all the fondant colors I will be using. For much larger cakes, like wedding cakes, I also set a timeline to keep myself on track and on pace. I like to use cake dummies and cake pans to visual the size and feel of the cake. Sometimes, a design may look gorgeous on paper but translates poorly once its on a three-dimensional cake. Doing a set up like one above helps me visualize the final product and feel more confident in the design. I usually color my fondant two days before construction. 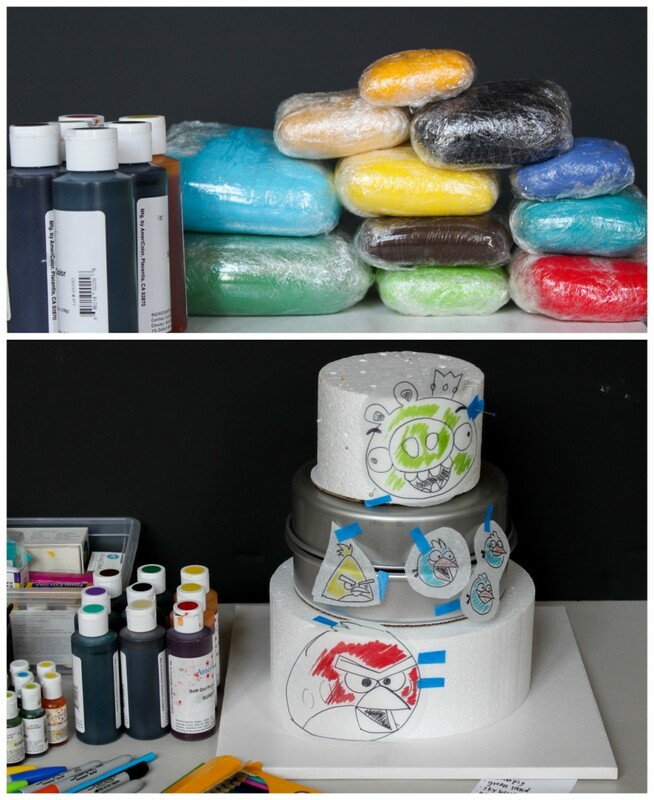 I have learned that certain food gel colors do not play well with certain fondant brands. There are times when my freshly colored fondant mutates into a completely different color overnight. For this reason, coloring two days before gives me enough time to color more fondant (or buy new gel colors) if such things happen. Decorating the outside of the cake is fun and all, but building the actual cake inside is what I look forward to the most. I find building and frosting cakes so relaxing. Some people play golf or go shopping to calm down, I frost cakes. Everything on the cake is edible except for the string attached to the slingshot. All the exterior decorations are made with colored fondant. I drew out the birds by hand and used a sharp knife to cut them out of fondant. I used water to glue the fondant pieces onto the cake and on to each other. To get the special design of the sling shot and wood panel pictured below, I used textured mats. 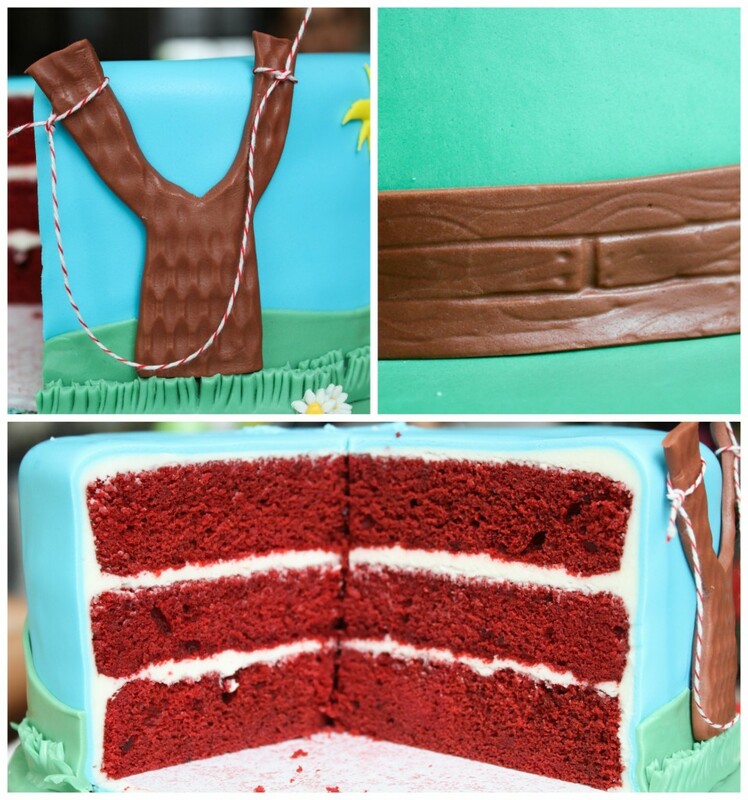 As for the grass below the sling shot, I merely used scissors to cut the top portion of a band of fondant. The hardest part of this cake was making the birds, especially the small blue birds. Preheat oven to 350 degrees F. Grease three 8-inch cake pans and line with parchment paper. Set aside. In the bowl of a stand mixer fitted with a paddle attachment, cream together butter, sugar and salt until smooth. Add eggs one at a time and mix until incorporated. In a small bowl, combine cocoa powder, liquid food coloring, and vanilla extract to make a thick paste. Add paste to mixing bowl. Mix on low speed until paste is incorporated into batter. Alternate adding flour and buttermilk to mixture. Add 1/3 of flour, followed by half of buttermilk. Start and end with flour. Mix until batter is smooth. In a separate bowl, combine baking soda and vinegar. Add mixture to batter and mix until combined. Transfer batter evenly among bake pans. Level out batter to ensure even layers. Bake for 20-25 minutes, rotating pans halfway thru baking. Let cake cool in pan for 10 minutes before unmolding. Allow cakes to cool to room temperature before using. In the bowl of a stand mixer fitted with a paddle attachment, cream together cream cheese and butter until smooth. Add sifted powdered sugar 1 cup at a time, mixing on low speed until incorporated. Add salt and mix until smooth to desired consistency. This is probably the most gorgeous, cute, and creative cake I have ever seen! I’m so impressed by your technical skills. Maybe one day I will be as good as you on your worst day. For now I am sticking to frosting and some pretty candles for the birthday cakes I make. Thank you so much Monique! Means a lot! I have been following your blog for a while now and I think we’d totally be best friends if we lived in the same city! Maryann, you did a wonderful job on this cake, it is amazing! The detail looks perfect. I’m sure your mom loved it! Thank you, Ashley! Yes, my mom loved it! She took so many pictures of it and she didn’t want me to cut the cake! 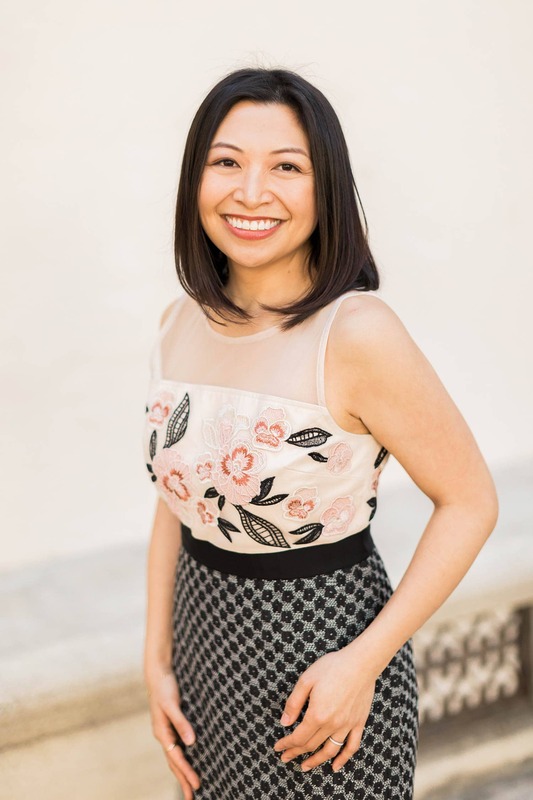 Thank you, Joy! So nice to hear from you! And thank you and your family so much for all the goodies. I am very excited to try out the recipes from the cooking with stars magazine! Such a sweet post. This cake is way too cute! Love it! Hi! What a lovely birthday cake! I can see how much your mom loved this cake from her very wide smiles….very good job! Hi Jeannie! Thank you! Yes, she really loved it! wow that cake is incredible. i so wish i had the talent and patience!! Thank you! It just takes a lot of planning and a whole lot of practice! Oh my goodness, this is ADORABLE!! My guy absolutely loves Angry Birds too. He plays it nearly every day on his phone (and he was actually playing when I first saw your cake!). I showed it to him, and his eyes lit up. Too bad I’m awful when it comes to fondant work! You’re so sweet! Maybe if I devoted a little more time to it, I’d get better. For now though, I’m enjoying your gorgeous creations! Aw, you’re too kind Erika! Thank you! This cake is amazing! I appreciate the way you shared your creative process with your photographs. I also love what you wrote about your wonderful mom. Great job! 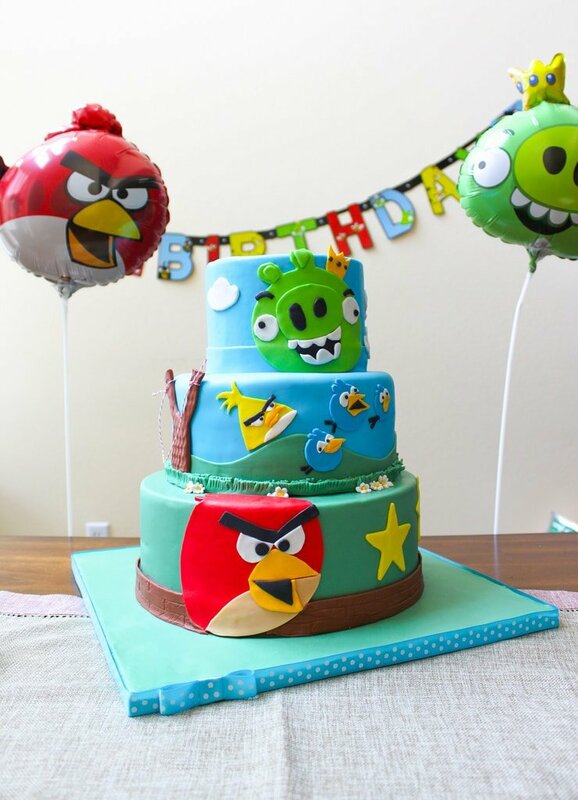 I just came across your blog and loved, loved this angry bird cake. It’s perfect. 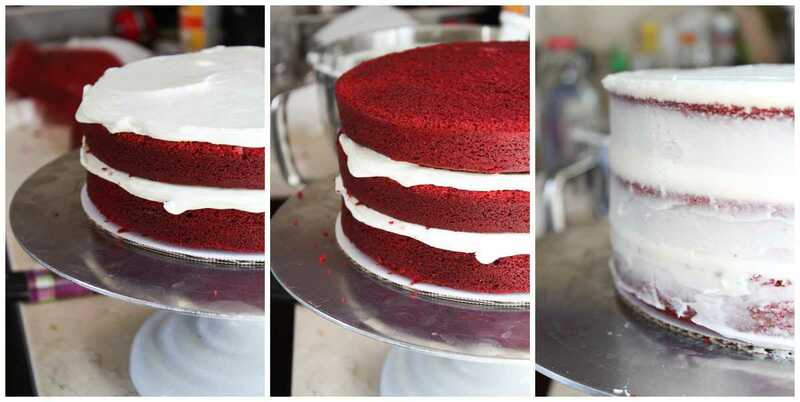 I am planning to make red velvet for my son’s first birthday. I have a question for you. I am making the cake 3 days ahead and freezing. Is that okay? Also, when you frost the cake with cream cheese, do you do it 2 or 3 days ahead and refrigerate them. i would really, really appreciate if you could let me know. Hi Pinky. After making the cake, let it cool to room temperature. Once it’s cooled, wrap it in plastic wrap and freeze. When ready to build cake, defrost in the fridge overnight or at room temperature. I suggest frosting the cake either the day of or night before you plan of serving it. Just be careful when keeping the cream cheese frosted cake in the fridge. It quickly absorbs smells/flavors in the fridge. I lovvvveeee this cake! It is so creative and the colors are *perfect. * Your mom is so lucky to have such a beautiful cake and wonderful daughter!